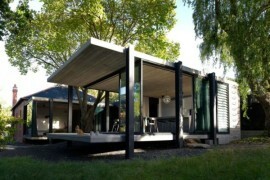 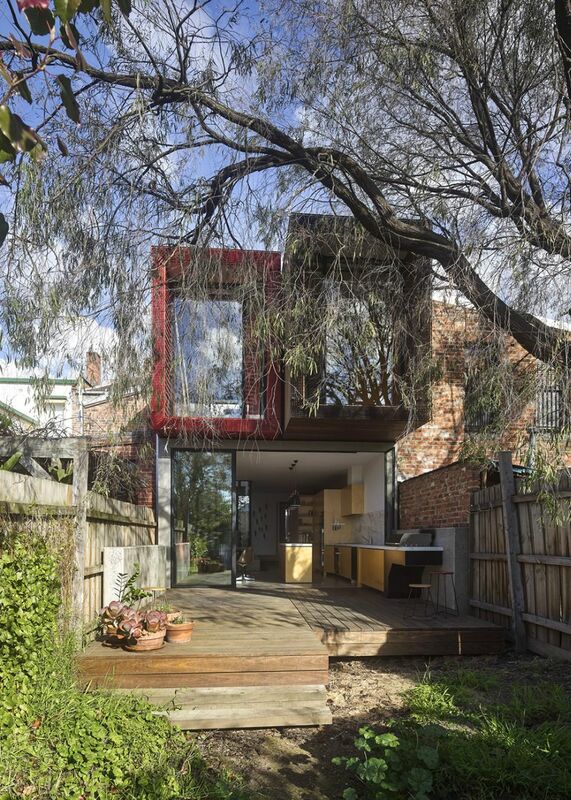 Designing a house is always a balance between the pre-existing conditions of the site and the desired result. 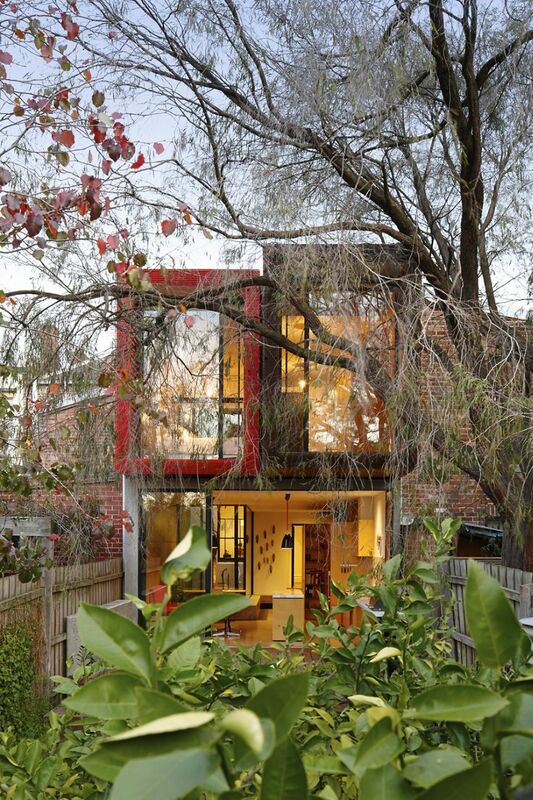 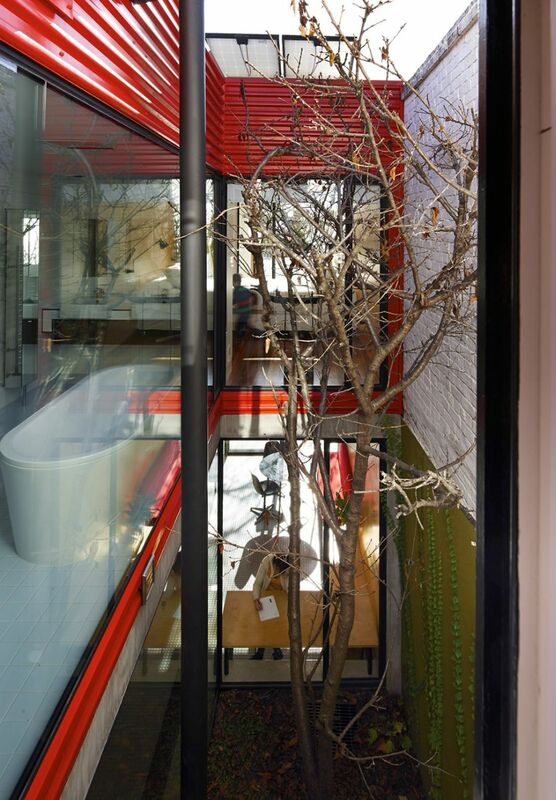 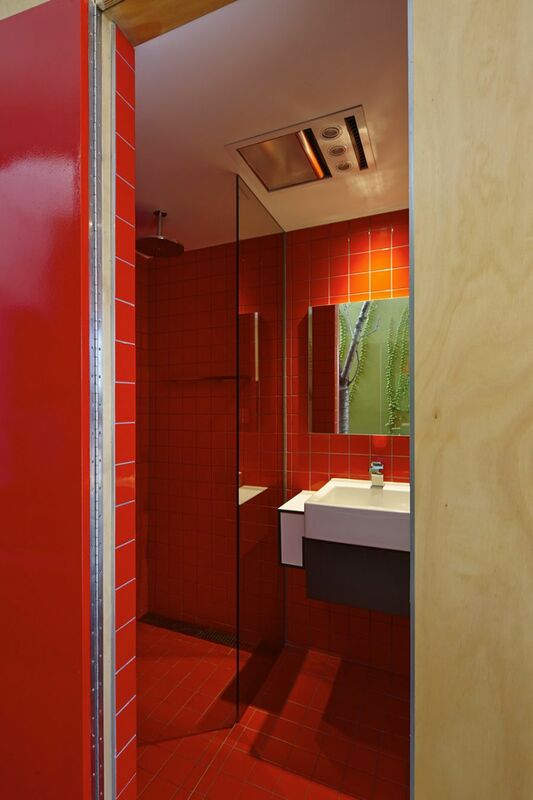 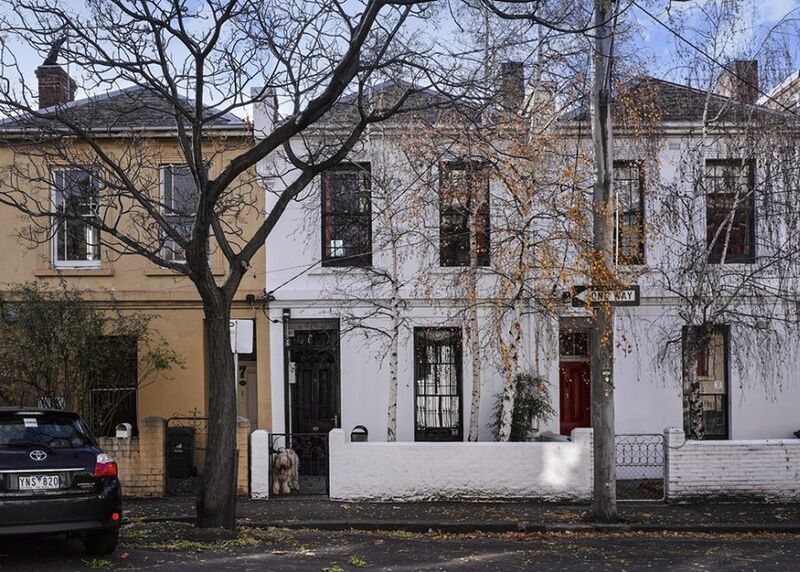 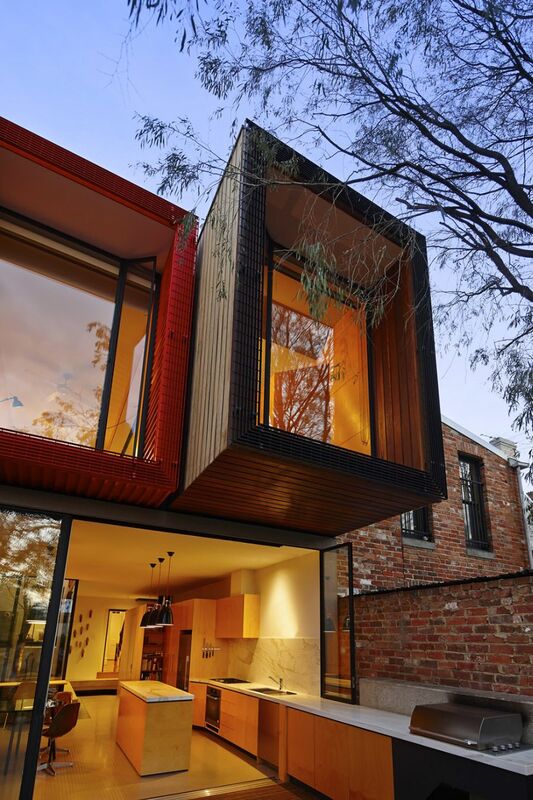 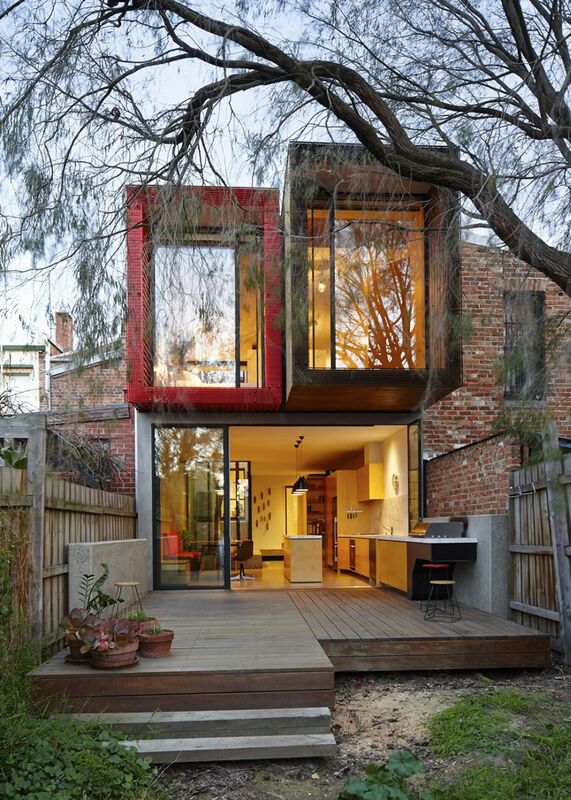 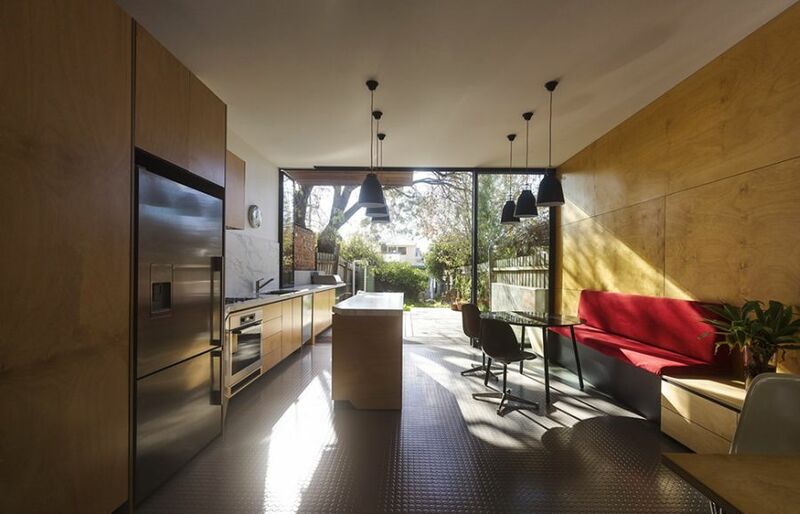 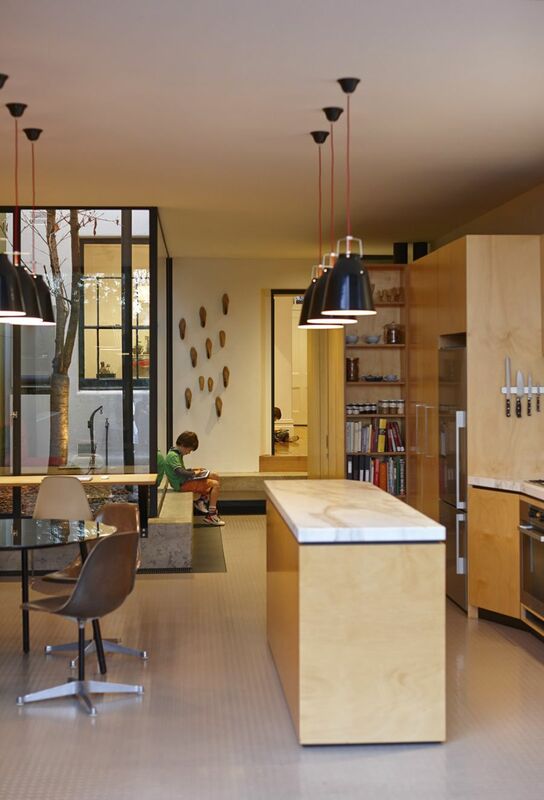 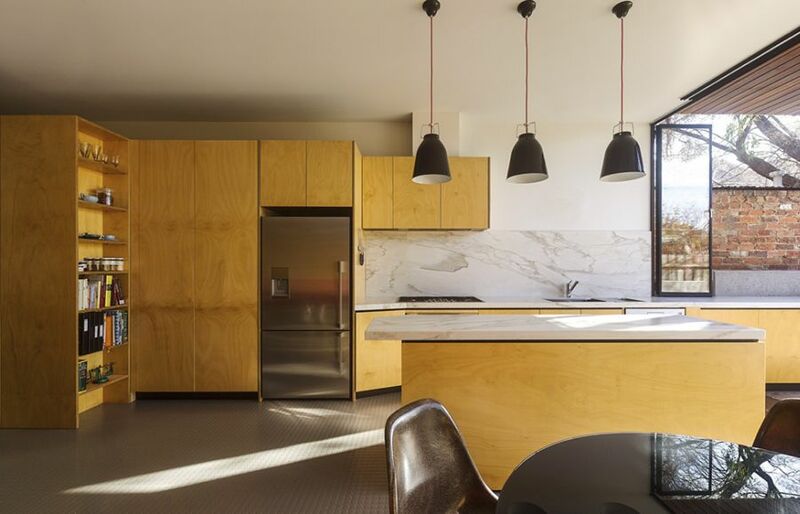 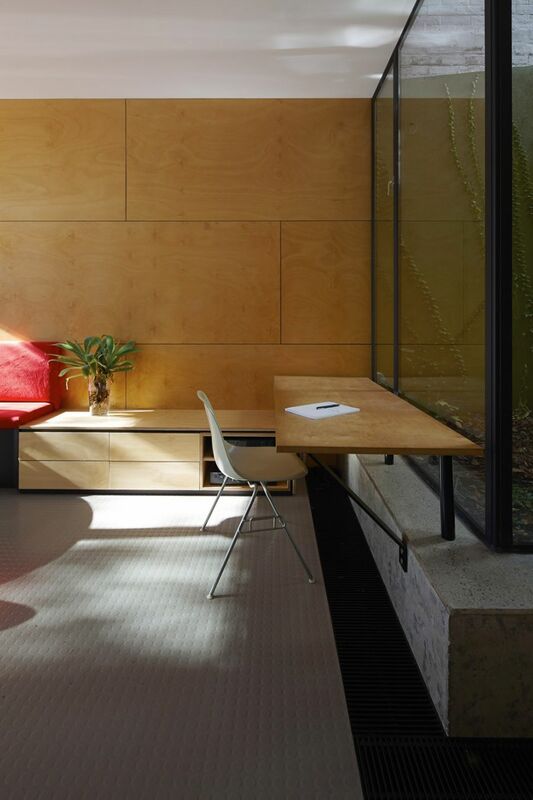 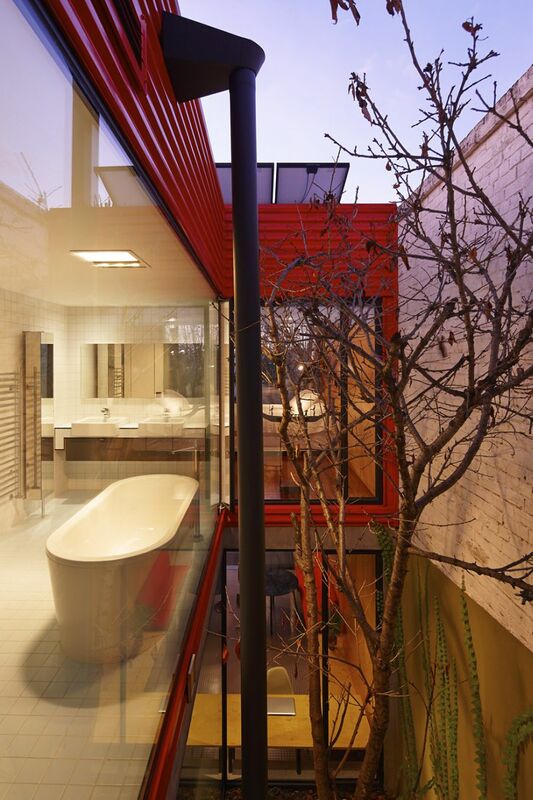 Located on the Moor Street, in Fitzroy, Melbourne, this colorful and innovative home was conceptualized and brought to life by Andrew Maynardan. 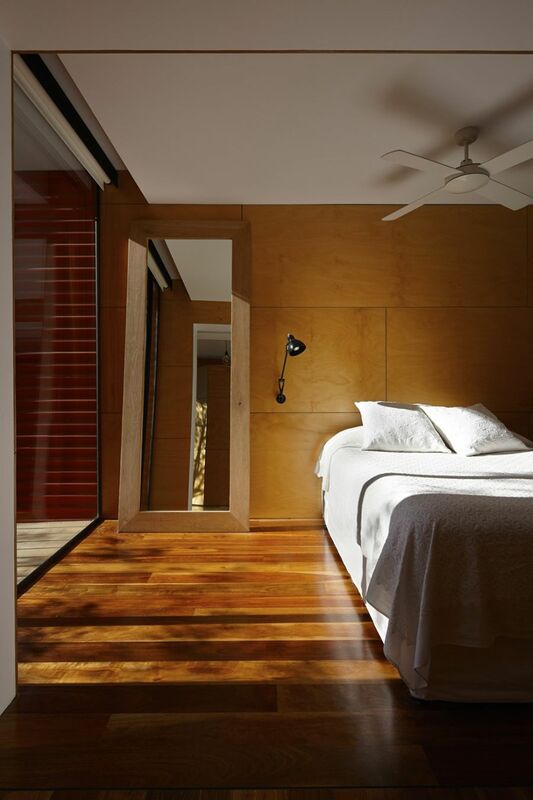 Combining natural canopy and cool contemporary flair, the residence is a perfect example of striking that fine balance between modern style and a sustainable design. 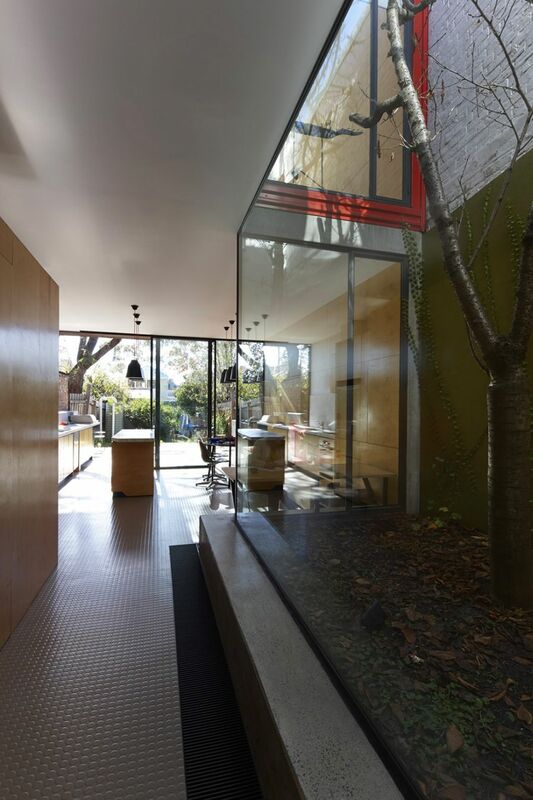 At the heart of this residence is an old Japanese maple tree carefully encased in a glass courtyard, giving the space a very distinct visual appeal. 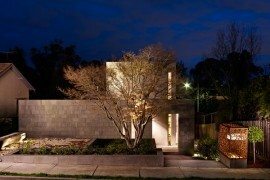 The street façade of the home cleverly conceals the chic structure created by the designers and offers those dwelling inside complete privacy. 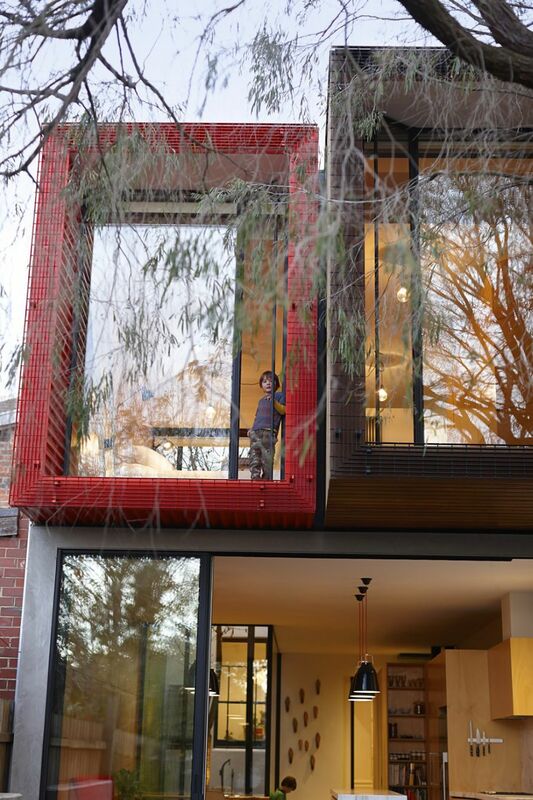 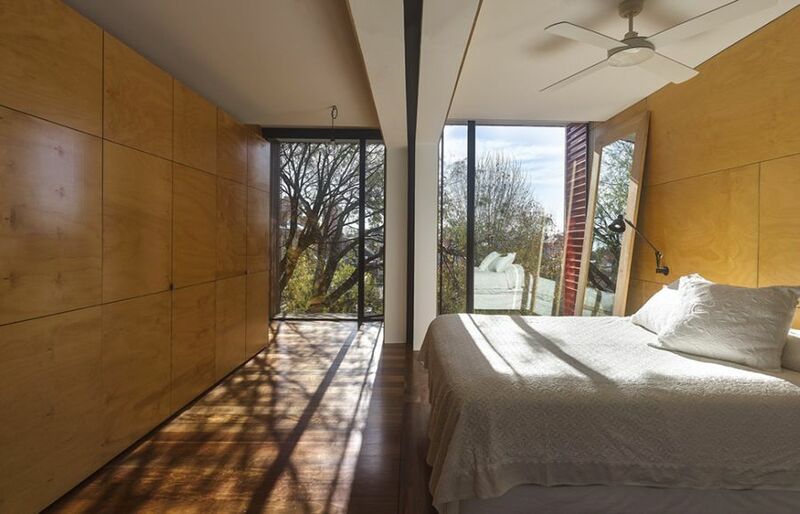 But the house opens up into the backyard using glass windows that promise unabated views and ample natural light. 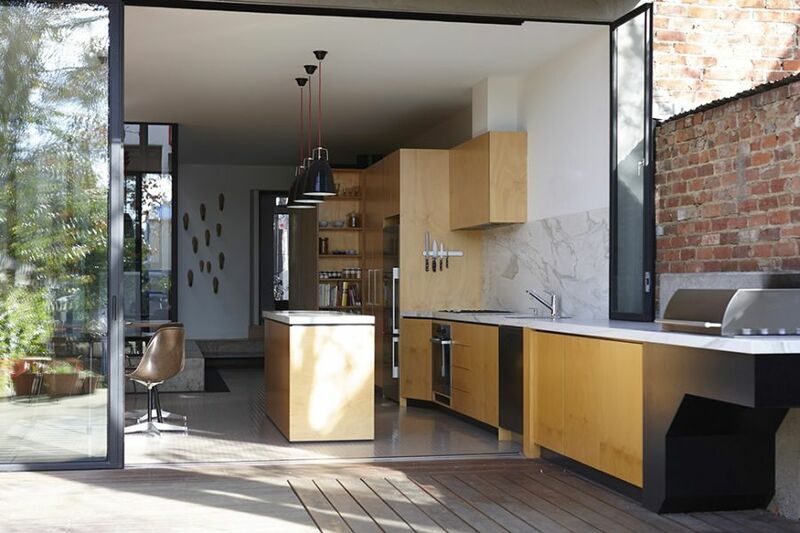 A stylish ergonomic kitchen, dining area and the living room are house on the lower level in an open floor plan. 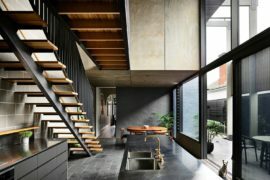 Classic design elements like the exposed brick walls are kept intact in a few places with modern materials like concrete and glass making up most of the interior. 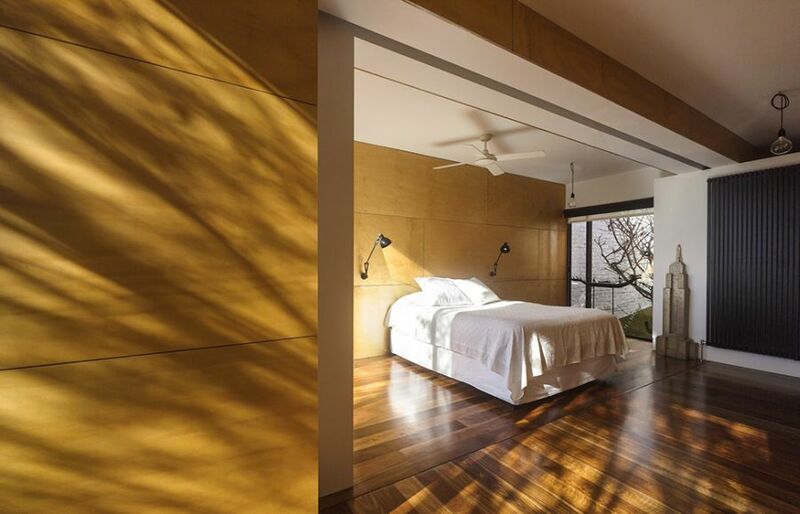 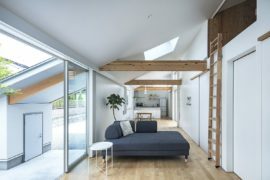 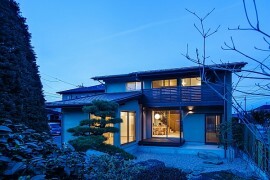 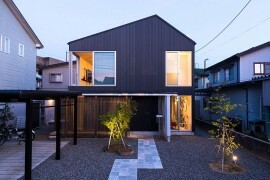 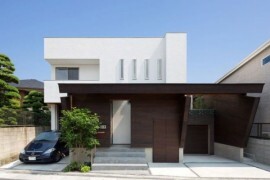 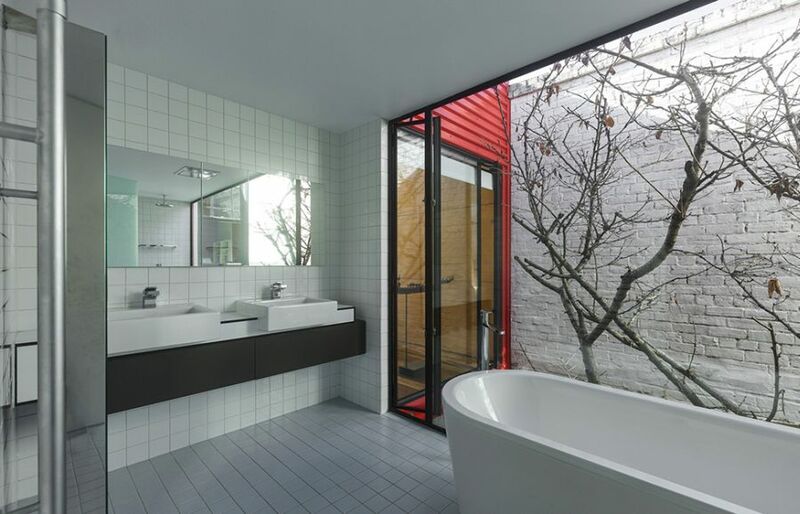 Two box-like volumes added to the top level house the bedrooms and the bathrooms, while the Japanese maple tree in the courtyard brings natural freshness indoors. 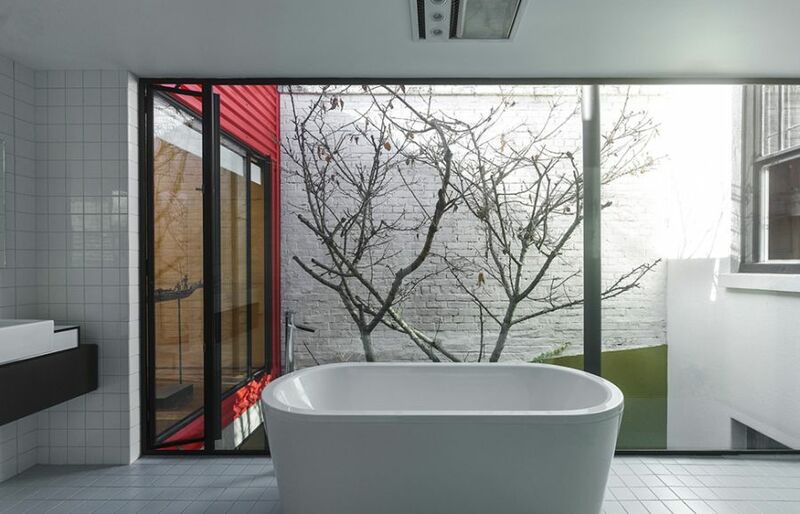 Both the bedroom and the bathrooms also offer lovely views of the indoor maple tree even as warm wooden tones add a warm organic look to the interior. 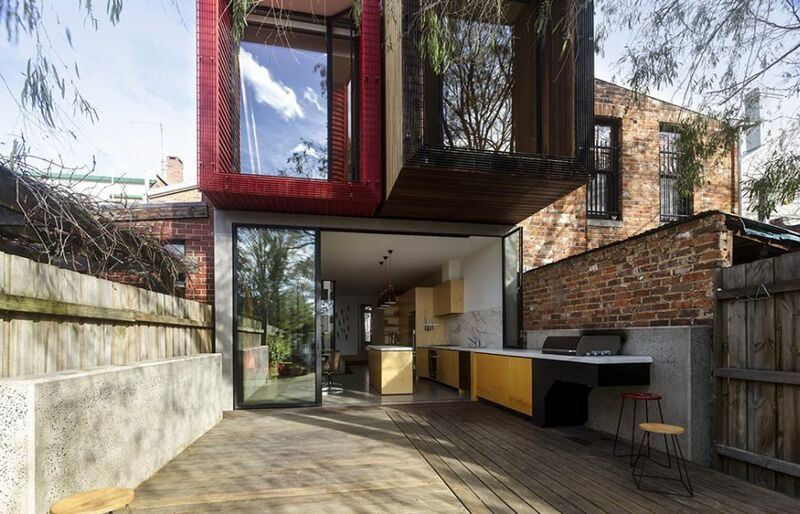 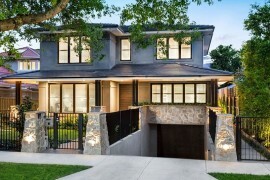 Combining a semi-minimalist style with a multitude of textures, this Melbourne single-family residence stands out from rest with ease. 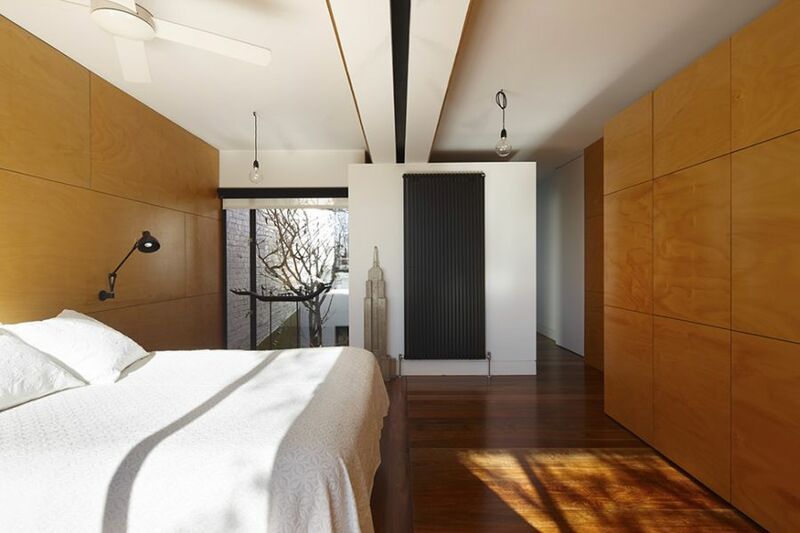 Showcasing a cozy ambiance and a practical approach to architecture, we love the way in which the designers weaved the existing elements of the lot into the new home. 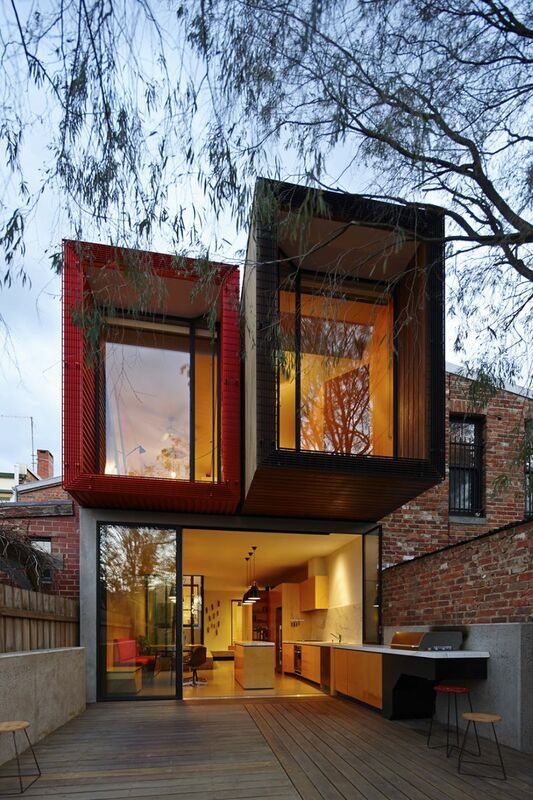 Smart and sensible, it wins you over with intriguing diversity!